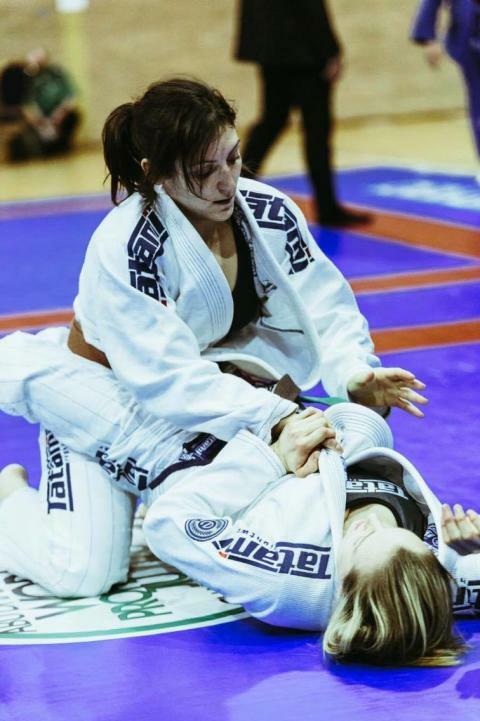 Leoni has taken a bronze and two silver medals in previous years competing at the Europeans, but has made a transition in her current training camp to get to the top of the podium. 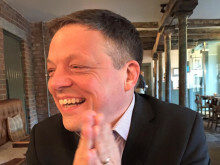 Originally from Worcester, the Londoner juggles a 48 hour working week with a BJJ and strength and conditioning training schedule. She explains: “I work full time with training to compete against full time athletes. I've now transitioned from strength training to a power phase with strength and power endurance. Training with such an experienced strength and conditioning coach like Sabina Skala makes a huge difference. Like with every training camp, I have little niggles and injuries, but I'm experienced enough to know how to work around and through them. The team at Balance Performance Physiotherapy are a valuable support to me and have been for the last four years”. Leoni also told how she started to drill techniques a lot more during this camp: “Inspired by my coaches Antony Chahal and Nicky Robinson, I've been drilling a lot more, and I find that really helps my game. I'm very lucky to have many seriously talented sparring partners at my club and we have a lot of visitors who make for great training sessions”. Leoni previously practised Traditional Jiu Jitsu as a child before beginning Judo, then crossed over to BJJ just over eight years ago. Knowing that this competition in particular attracts the best athletes, she has learnt from her previous years that anything can happen. 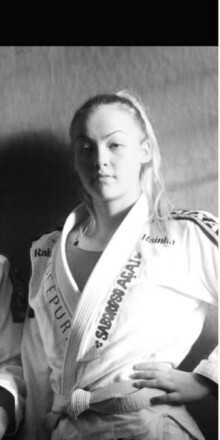 Leoni said: “The best competitors will be there and at this level, every girl in my division could get her black belt next week - that's the simple fact of it. There's no hobbyists, no one is there for experience or for a bit of fun. I know what it takes to make the final, and I know what I need to do to win”. 2015 was an incredibly great year for the 29-year-old, when she travelled far and wide competing in the middleweight category. 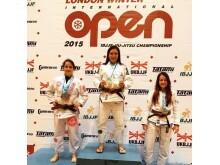 The medals she brought home include the absolute gold at the IBJJF Madrid International Open, a bronze in the IBJJF World Championships, gold at the IBJJF No-gi Europeans and double gold in her weight category and the absolute at the IBJJF London Winter International Open. Leoni also competed at the WPJJC 2015 trials in Dublin, winning a bronze in the purple/ brown/ black belt under 65kg category and a silver in the purple/ brown/ black belt absolute. She commented: “Since the worlds, I've sharpened up my game a lot and I'm looking forward to showing a different side to my game at the Euros”. Leoni uses competing to fuel her training, set goals as a motivational tool and believes that it is the best way to test your game and find your weaknesses. She added: “On a deeper level, it's an extremely powerful and addictive feeling. To have your hand raised in front of thousands of people and your supporters is amazing. 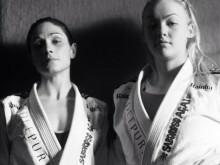 BJJ is very emotionally charged for me as I'm a very passionate person. It's the highest of highs but suffering a big loss breaks my heart. I think to be a true champion, you have to learn to deal with both”. Commenting on her idols and inspirations, Leoni said: “I love the fact that in BJJ, you can meet and train with your heroes. 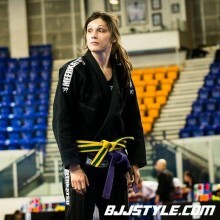 I've been lucky enough to train regularly with Michelle Nicolini. I love her game and she is a great ambassador for the sport. I want to inspire other women and girls in the sport in the way that she inspired me”. Leoni’s biggest achievement to date is becoming a Worlds bronze medalist last year, which she explained was her favourite competition of 2015: “Getting a submission out there and taking bronze was the most incredible feeling. It's such a momentous stage - to be there competing at that level is pretty special”. Leoni is sponsored by Tatami Fightwear, strength and conditioning coach Sabina Skala, Balance Performance Physiotherapy and Idee Pure. Leoni trains under head coach Antony Chahal, a black belt under Helio Soneca, and loves BJJ because of the people that she meets.